I’ve been using the Harvest time tracking service for about 10 months now (since October), after switching to it from a desktop application for time tracking. 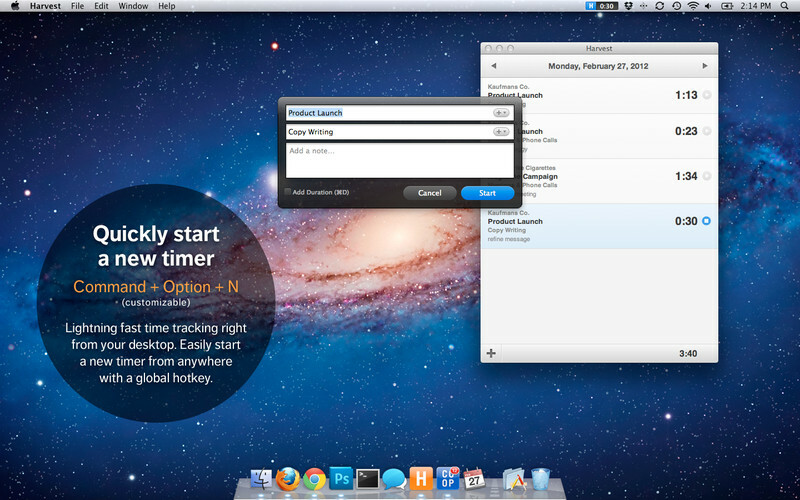 I primarily use the Mac App, which is featured in the video above. It interfaces with the web site (which I rarely use except to add projects, clients, and run reports). 1. 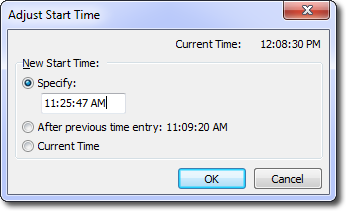 An option to set the start time immediately after my previous entry. Use case: I stopped my previous time entry, and accidentally let 15 minutes go by before starting my time and now I want an easy way to set the start time to be immediately after my last time entry ended. See this screenshot. 2. 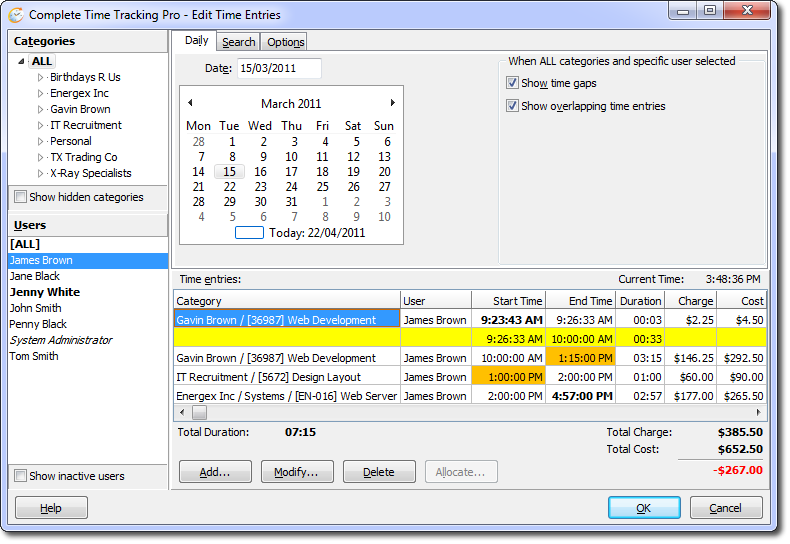 Show gaps in my day in a different color, and allow me to assign those to another entry. I’d like to be able to see where there are gaps in the time sheet entries from my day (either a new one, or the previous or next entries). 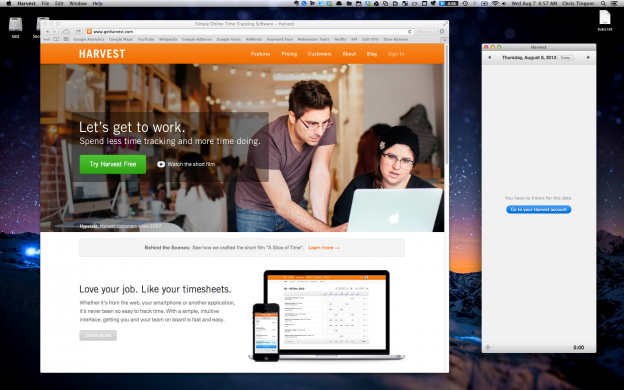 For example, see this screenshot. 3. Have it so that it remembers my last description so I don’t have to re-type it if I want to only make a minor change. I’ve managed to figure this one out: Just click start on a previous entry, and then if you want to leave it alone, it will keep the time entry notes. 4. When entering time manually, allow me to enter the duration, not just the start/end times. Sure would be nice to be able to just enter “1 hr” rather than having to enter a specific start time and end time.